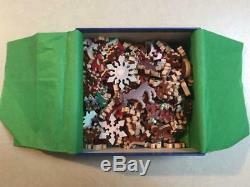 Offered here is a pre-owned, highly collectable, wooden jigsaw puzzle created in December of 1988 by world renowned Stave craftsmen in Norwich Vermont. 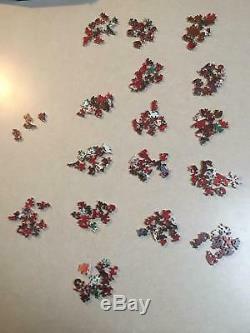 This puzzle is rated as containing 165 hand cut pieces, but upon counting, appears to be one short. The puzzle is otherwise in pristine condition and has only been completed once or twice. 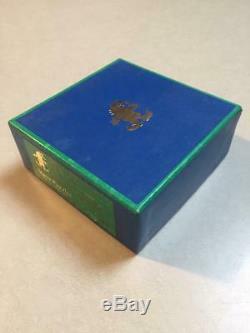 The box is still in good shape with only the usual and customary signs of use and age. Stave puzzles will challenge even the most proficient puzzler. These puzzles are truly heirloom quality. 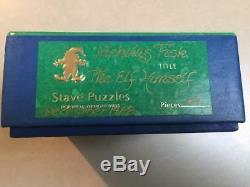 The item "Classic Stave Wooden Jigsaw Puzzle, The Elf Himself, Maybe Missing 1 Piece" is in sale since Friday, February 1, 2019. This item is in the category "Toys & Hobbies\Puzzles\Vintage Puzzles\Jigsaw". The seller is "aspinquid" and is located in Wells, Maine.